The 31st Sketchcrawl was dedicated by Pixar's Enrico Casarosa to the victims of the recent Japanese earthquake and tsunami. 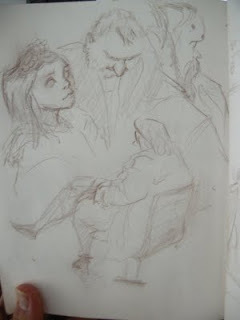 He also set up a Sketchcrawl fund with Give2Asia. So please give generously if you can. The death toll from the earthquake and tsunami stands at 13,700 and even more are missing. It's sad to even think what the surviving are going through. 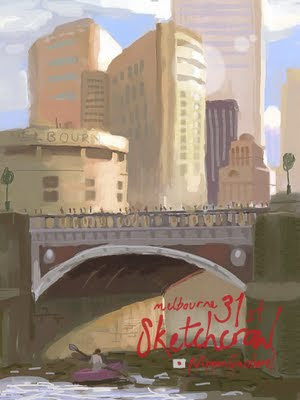 Not to put a downer on this blog, this is the Melbourne Sketchcrawl once again, and relatively speaking, the weather has been rather kind! In Melbourne terms, it's a miracle. Yes I'll even go as far as saying that. For this special Sketchcrawl, I wanted to do something cool, so I figured I'd take the iPad out behind Federation square along the Yarra and began painting using the Brushes App. I lost my stylus so this is 100% left finger - It cramped after awhile. 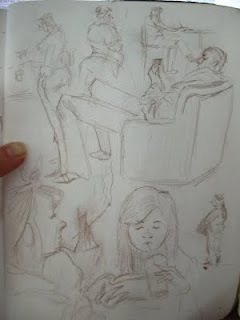 These other sketches are from earlier in the day in a cafe and the outdoor area of Federation square where a month long comedy festival is happening. 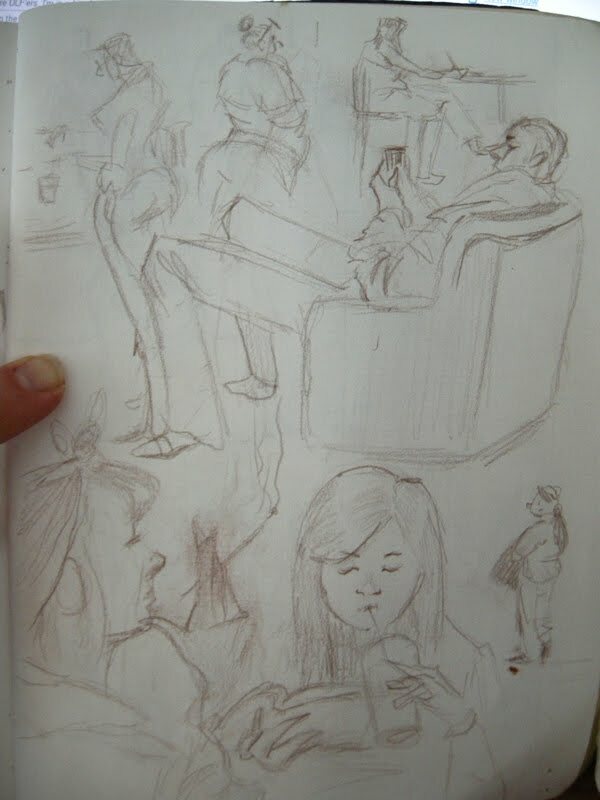 Lots of atmosphere and a great day to be drawing. Good on you!! Thanks for your activity for Japan. 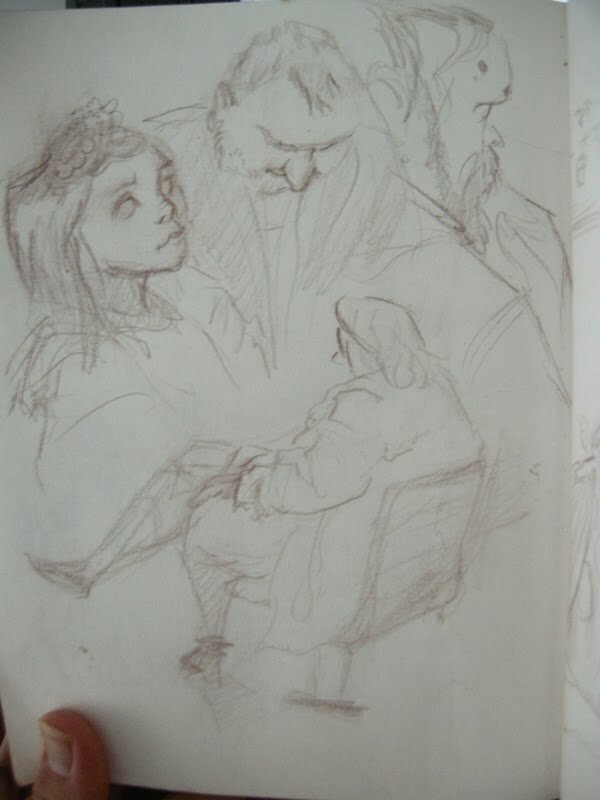 And your sketches are very cool! That's lovely, i miss home now. This painting is beautiful! Youve really captured the light and atmosphere brilliantly! I could really do with a lovely sunny but cool day like that over here!